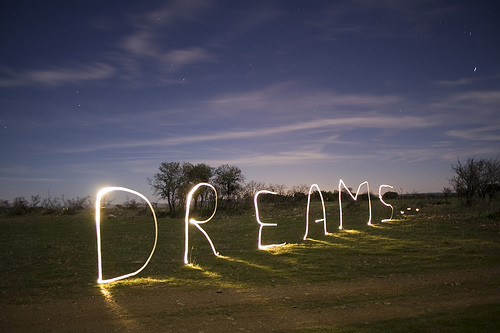 Dreams are most often associated with nonreality. These are nice thoughts that we think of from time to time and wish that we were one of those special people that actually get to realize their dream. People like Hugh Hefner, Robin Williams, and Frank Sinatra. These were special people – nothing like you and me. And it is exactly this kind of thinking that has brought you to this article. The kind of thinking where you become victim to a world that favors other people more than you. But this is where you are wrong. The world does not favor other people. It is just that other people favor themselves a lot more than you do. The only difference between you and the people mentioned above is that you have not dreamed long enough to have earned your moment. You have not failed enough times, you have not felt the pain of defeat enough times, and you have not had to pick yourself up off the ground, hear the words no, no, no, and smile and say “yes!”. You have probably been told that you can’t do something, and if you believed those words, then you have already sealed your fate. If you want your dreams to come true, you have to believe in yourself enough to work towards them with honest fervor. You have to align yourself with the people who are also unwilling to hear the words no and work together to make each other’s dreams come true. It isn’t lonely at the top, it is actually very fulfilling. And this is simply because it is very fulfilling to become all the inspiration you need. To become your best cheerleader, your strongest ally, and your best friend. You are the only one who can give yourself permission to live your dream. So what is it going to be? Are you ready to allow yourself the opportunity to start living the way you want?